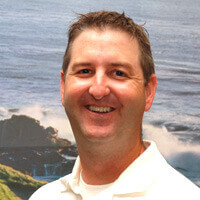 Mike Orzechowski graduated from Neumann University with a Doctorate in physical therapy in May 2011. He had been an aide at Dresher Physical Therapy for 5 years before joining our talented team of physical therapists. Mike is a graduate of West Chester University and previously worked as a health and physical education teacher before returning to school for his Doctorate in physical therapy. Mike was also a high school and Division I collegiate cross country and track runner. He has coached cross country and track at the high school level and has competed in 4 marathons in the past 4 years. He is passionate about running and has attended continuing education courses on treating running injuries. Mike enjoys working in the outpatient setting and treating a diverse patient population. He has used his passion for running and experience in treating running injuries to develop a running program at Dresher Physical Therapy.